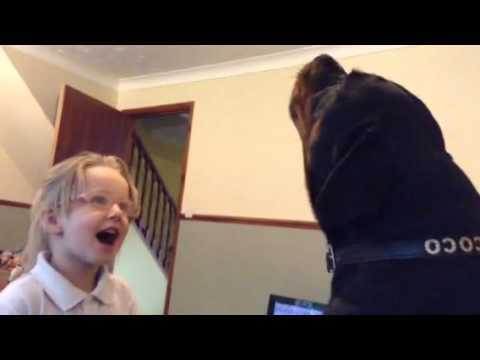 Little Girl and Rottweiler Duet – Very Cute! This duo of a little girl and Rottweiler is really cute. Watch them sing nursery rhymes together, it is adorable. I’m thinking they might be a good act in a talent show, what do you think? Have a Motivate More day everyone!